Song of a Variegated Ground Cricket (scroll down for explanation and additional recordings!). 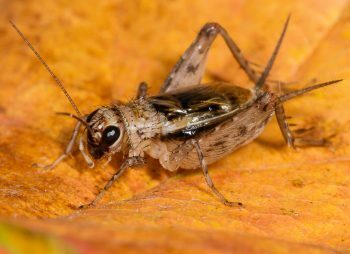 These small ground crickets are extremely handsome — mottled with black, brown, and cream colors that come together to create a striking appearance. While they live in burrows and cracks in the soil, they can be found in leaf litter along the edges of woodlands and in leaf litter piles in parking lots adjacent to appropriate habitat (perhaps the easiest way to find and capture a specimen). They are extremely shy, often found in the last bits of vegetation that are inspected. They are also fast runners, easily escaping capture once you’ve found one. 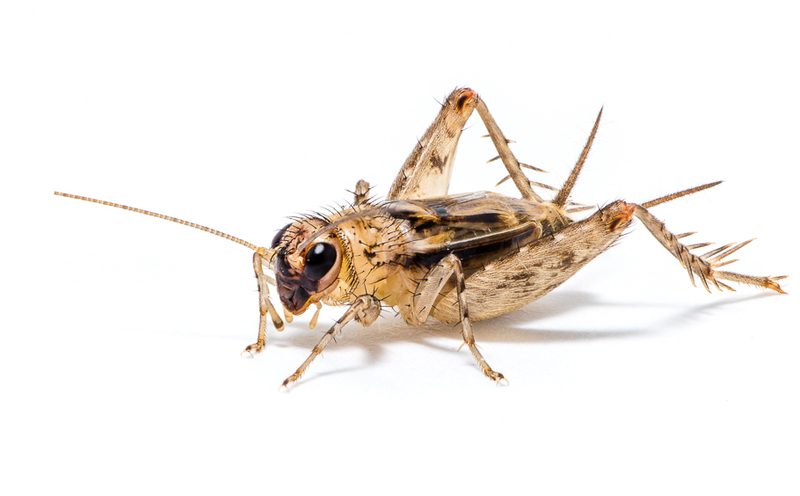 Variegated Ground Crickets can be found from New Jersey, most of Pennsylvania, west to the southeastern corner of South Dakota, south along the eastern edges of Nebraska, Oklahoma, and Texas and east to the toe of Louisiana then northeast toward southern North Carolina. Song: The song of the Variegated Ground Cricket is a pleasing continuous trill that crescendos abruptly and can last many seconds before stopping sharply. At close range, the song has a scrappy, dry quality. Peak energy is at 7.3 – 8.6kHz with 35 pulses/second at 24℃. Songs are always heard from ground level. Sonagram of Neonemobius vareigatus showing individual syllables.